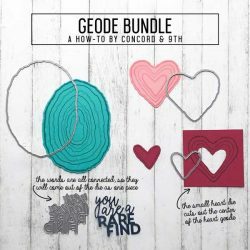 Geode Dies by Concord & 9th. 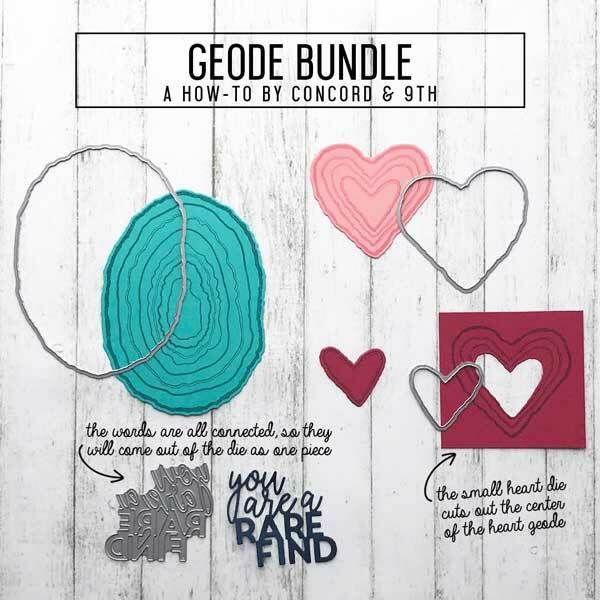 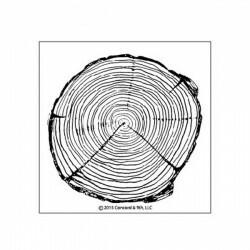 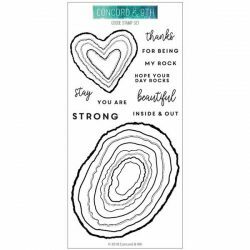 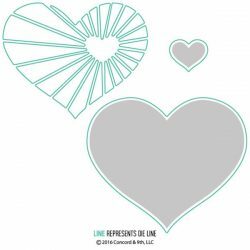 This is a 4 piece die set that coordinates with the Geode stamp set (see below). 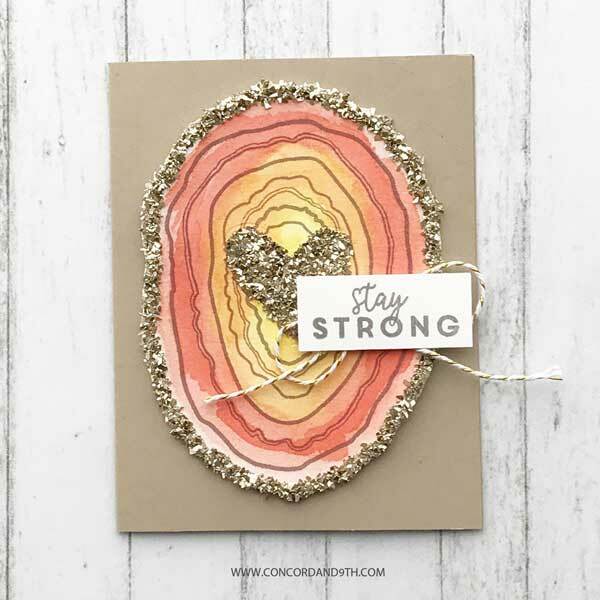 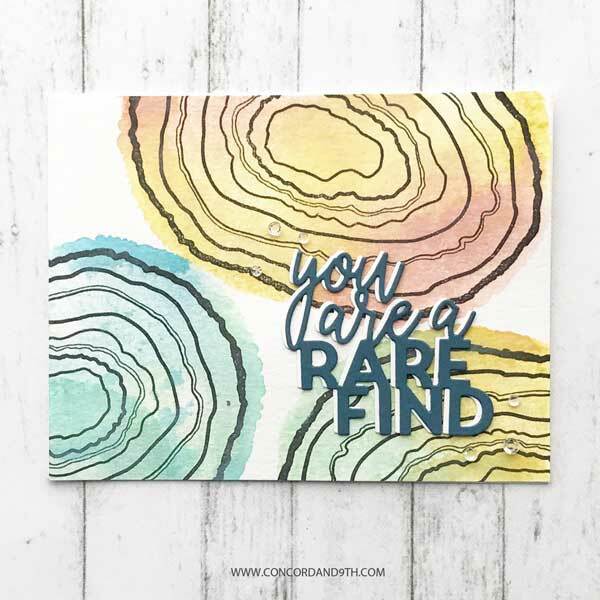 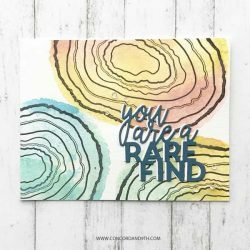 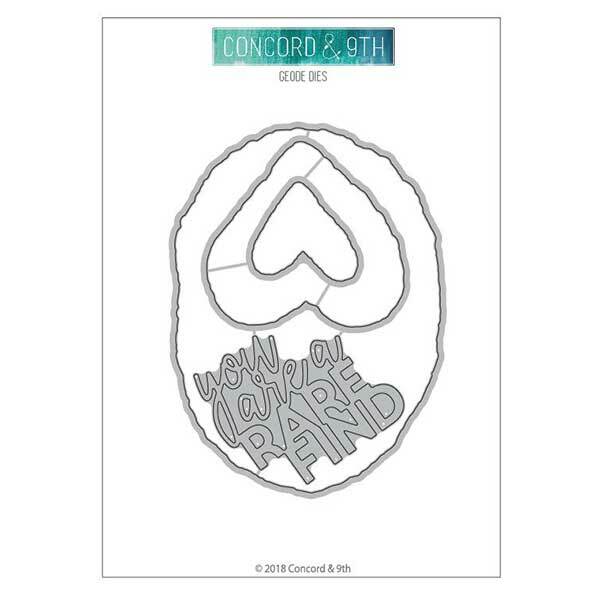 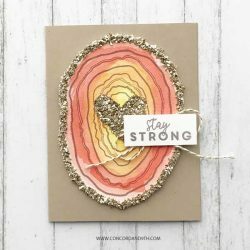 The dies cut around the outside of the oval and heart geode’s and also includes the beautiful sentiment, “You are a rare find”!